Once upon a time I went for delicious homemade tacos at a friends house and when they asked if I wanted a crunchy shell or soft of course I said crunchy. I mean have I ever been known to turn down fried food? And do you know what they did? They had fried up flour tortillas. It was delicious and genius. How had I never thought to do that before? Seriously it’s the tastiest. 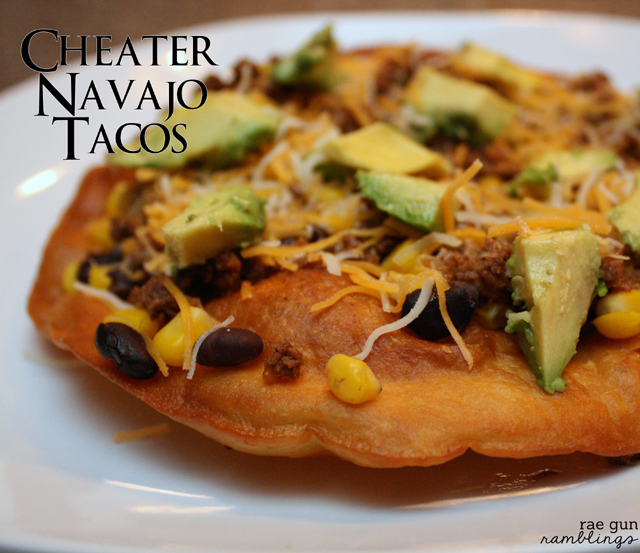 If you like Navajo tacos this isn’t quite the same but it’s super easy since you don’t have to make up a batch of dough and it’s satisfying in that same way. I like to think of them as my cheater Navajo tacos. To fry up the tortillas just heat up some oil in a skillet fry one side then flip and cool on a paper towel. I usually put normal taco stuff (beans, corn, taco meat, avocado, lettuce, greek yogurt) but really you can top it with whatever sounds good. I’ve done ground beef or yummy slow cooked barbacoa pork. Super yummy. So there you should try it too! 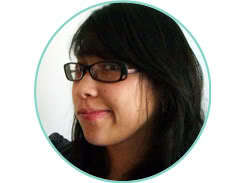 Found you on the link up, i love navajo bread! I can’t wait to try this..we used to live in the southwest and no one up north has heard of it..Thanks for the recipe!